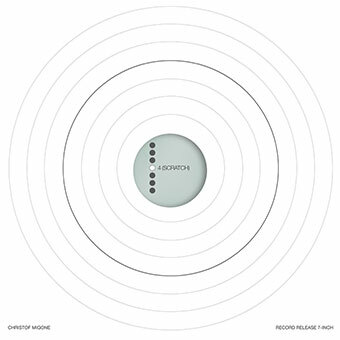 Fourth part in the series of seven 7“ record-objects by Christof Migone. Limited edition of 77 copies. Publication includes a 7-inch embossed front cover with die-cut hole back cover + grooveless opaque white vinyl scratched by the public during the events and exhibitions listed below + two 7″x7″ full colour inserts + AIFF and MP3 (320 kbps) versions of 4 tracks with a total time of 35:16.